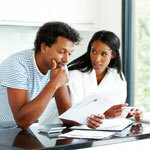 Each year, shortly after the New Year has arrived, people start bemoaning the fact that “tax time is going to be here before you know it.” Most will also admit it wouldn’t be such a dreaded task if they had kept track of things like receipts and other documents throughout the year, instead of waiting until tax time to try to find everything. 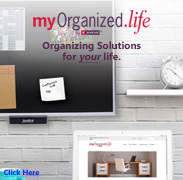 Smead’s All-In-One Income Tax Organizer is a great way to organize and store your tax documentation AND take some of the stress out of tax time! 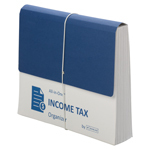 The All-In-One Income Tax Organizer comes with a handy instruction sheet /checklist as well as preprinted and blank labels so you can tailor the file to meet your needs. As you accumulate various forms, receipts and financial reports from banks, investments and lenders, keep them separated by category in the twelve roomy pockets so you or your tax preparer can find the information easily. 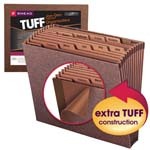 The All-In-One Income Tax Organizer even has an extra large pocket to store your completed tax returns. 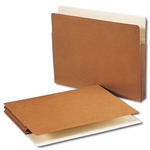 And the flap and cord closure keeps everything securely together and makes transporting the file easy. 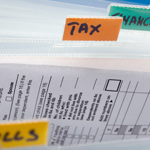 Keeping your tax records organized may seem daunting, but if you keep your supporting documents organized throughout the year, completing your return goes much faster and easier. Want more information? 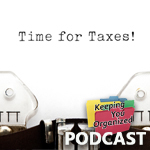 Check out all our tax time organizing tips and a handy Tax Time checklist at Smead Organomics! Like this video? You may also like these.